Bermuda Dunes is a census-designated area located in Riverside County, California. Bermuda Dunes is located near Indio and stands at a distance of 23 miles in the Eastward direction of Palm Springs. As at the 2010 census, the population of Bermuda Dunes was 7,282. Although many people might not know this, the city was formerly called Myoma. Access to Bermuda Dunes is possible through the Bermuda Dunes Airport. The city is home to quite a number of attractions, of which the most notable is arguably the Bermuda Dunes Country Club. The cub was developed in 1958 by Ernie Dunlevie and Ray Ryan. In the past, it has been responsible for attracting some of the most notable celebrities in the world, including Clark Gable. Due to the fact that it is located in the Coachella Valley desert region, Bermuda Dunes is encapsulated by mountains on pretty much every side. It is covered by the San Jacinto Mountains to the West, the Little San Bernardino Mountains to the East, and the Santa Rosa Mountains t the South. The presence of dominant physical features is what gives Bermuda Dunes its hot and dry climate. The region experiences 354 days of bright and sunny days (out of the 365 days in a year) every year. Bermuda Dunes is a region with an amalgamation of a warm winter and a hot summer climate: its average annual high temperature is 31.9 °C and the average annual low here is 16.7 °C. However, in spite of all these, it is also very common for people in this region to experience summer highs which are well above 43 °C. As a matter of fact, the highs in this period could even sometimes exceed 49 °C. Just as well, the summer night lows often stay at levels above 28 °C. The census organized in the United States in 2010 showed that Bermuda Dunes had a population of 7,282. The population density stood at a level of 2,471.7 people per square mile. Reports from the census numbers showed that 7,277 people (making up for a staggering 99.9% of the city’s total population) lived in households, 5 (0.1% of the population) lived in non-institutionalized group quarters, and nobody was institutionalized. During 2009–2013 period, Bermuda Dunes had a median household income of $61,519. Bermuda Dunes has been seen by many as an awesome place to retire or spend quality time with loved ones. With basically everything you’ll ever need in the city, you can rest assured that your every need will be more than met. Amenities are abundant (and at cheap prices as well). 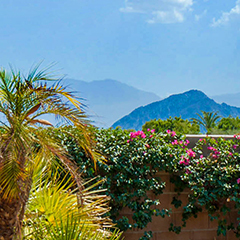 Homes in Bermuda Dunes vary in price (as well as in specifications such as size, amenities, etc).